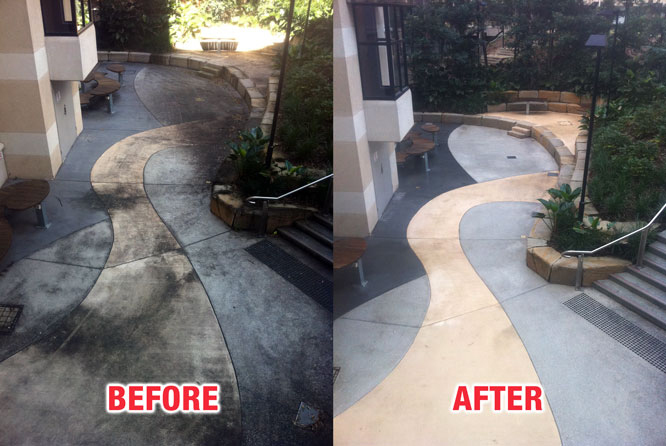 If you are looking for professional, reliable, experienced people to clean any hard surface in and around your industrial, commercial or body corporate property — call us today. Our Vacuum Recovery System sets us apart from the rest. 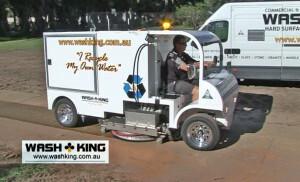 Wash King has technologically advanced equipment enabling us to undertake large clean up jobs with ease. Our Iveco large truck mounted unit is powered by a 49 HP engine which drives our on-board systems, including our unique and environment-friendly 850 CFM Roots Blower vacuum recovery unit. 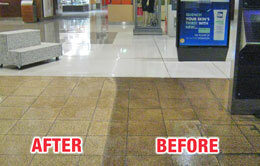 This sets Wash King apart from our opposition by extracting dirt, water and debris from surfaces while we clean. This is a versatile unit that can be used in large or smaller areas. Our self-driven Cyclone Unit is another great example of what sets Wash King apart from all the others. As the Cyclone cleans with the 36” hydraulic surface cleaner, its onboard vacuum recovery unit collects the dirty water and passes it through a filtration system so the water is recycled and used again. This process is not only environmentally friendly but also useful in large areas where water supply can be a distance away. 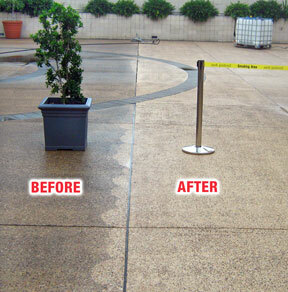 Not only are our units efficient and effective cleaning machines they comply with EPA regulations. The EPA does not allow for contaminated water to enter our waterways and storm water system. Large fines are imposed on businesses/contractors/building owners who disregard the law. This is why our vacuum recovery machine is so important. Best Results: First Time, Every Time! 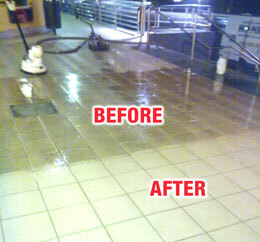 Wash King uses the latest hi-tech, industrial strength pressure cleaning equipment. Our Truck mounted cleaning unit is powered by a 49 HP engine which drives our on-board systems, including our unique and environment-friendly VACUUM RECOVERY unit. 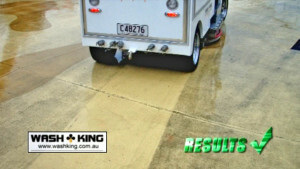 This sets Wash King apart in the pressure cleaning arena by extracting dirt, water and debris from surfaces while we clean. 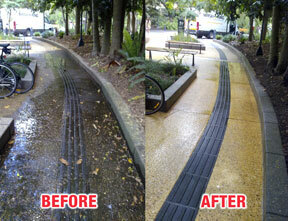 Another external high pressure cleaning victory from Wash King! Our clients expect the highest of quality, both in results, and in reliability. We deliver.